Sharing my knowledge and experience is one of the challenges but most rewarding activities of teaching. It is fun and hard work at the same time. 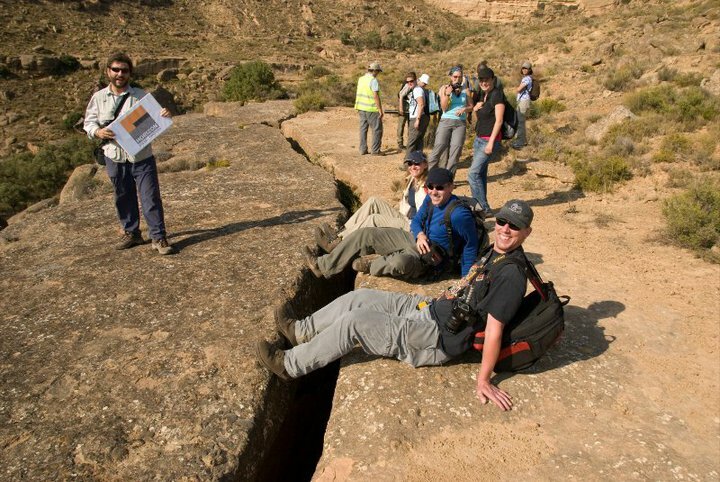 The right blend between in-class lectures and teaching in the field is the way to bring up the new generations of successful geoscientists. In this page you find some examples of these activities. Teaching the course of “Petroleum seismic interpretation applied to prospect definition” at the University of Dakar to a large group of interested and enthusiastic MSc students (March 2017). PhD School of Western Switzerland Universities in Utah. Picture was taken in the Bookcliffs, an outstanding world example of wave-dominated marginal marine deposits (September 2016). 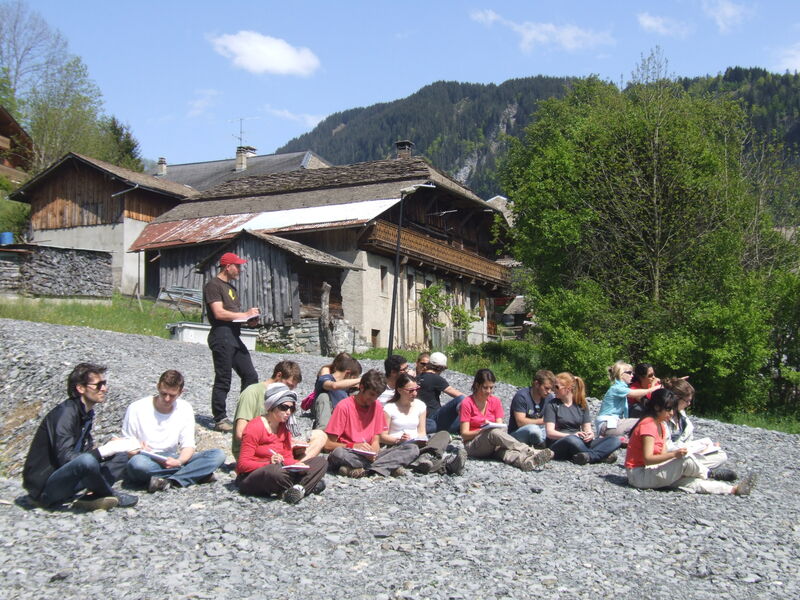 Looking at fluvial terraces in the Drance Valley, French Alps, May 2013. 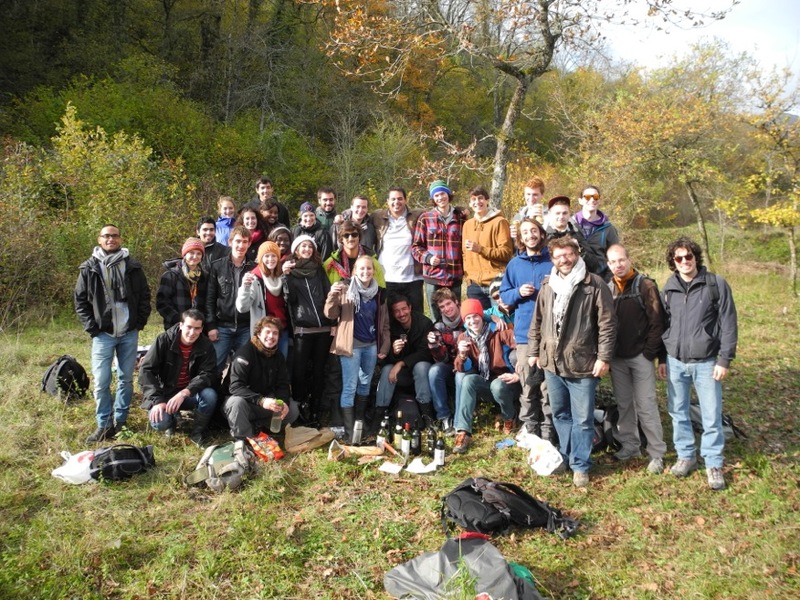 The 1st year Earth and Environmental Sciences BSc students at UNIGE on their very first field excursion. Hopefully the first one of a long series… Allondon valley, Geneva, Switzerland, November 2013.